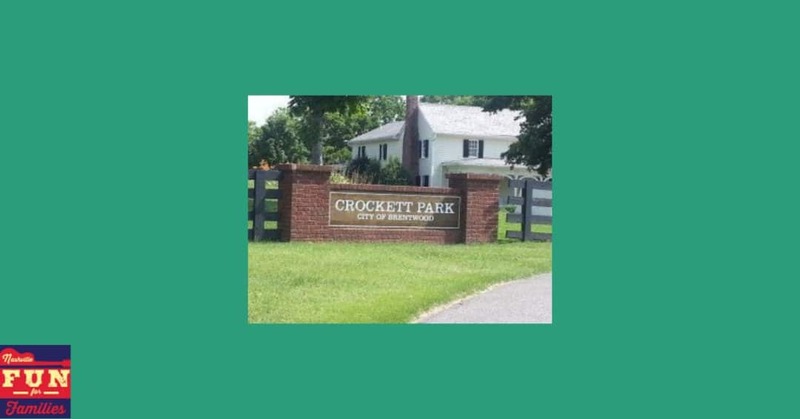 Crockett Park is located in Brentwood, TN. Encompassing over 164 acres, it is the largest park in the city. There are lots of options there for an afternoon of outdoor family fun. Crockett Park is home to Eddy Arnold Amphitheater and the historic Cool Springs House. Lots of community events are held in these areas. The park also has lots of room for picnics. There are huge grassy areas and lots of tables. Crockett Park is well equipped for sports of all kinds. There are 7 tennis courts, 8 baseball/softball fields and 8 multipurpose fields. If you are up for a hike, the park has a nature trail and a paved walking path.There are also large covered picnic shelters throughout the park. These are available to rent. There are several bathroom facilities throughout the park. hey were clean and well stocked. The main thing to remember about the park is that it is BIG. There are several entrances and parking areas throughout the complex. If you are a first time visitor, drive around a bit to get a feel for the place before you park.